Honesty and frankness were the cornerstones of the presentation from Grant Blackley, our November luncheon speaker. 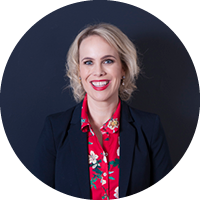 As the CEO and Managing Director of Southern Cross Austereo (SCA) Grant is at the cutting edge of a rapidly changing space – the media. What was clear, was that SCA is agile in their approach to change and always looking for ways to deliver for their consumers and their advertisers. Grant discussed the importance of diversification to success, because it means you don’t have ‘all your eggs in one basket’. And with SCA having radio, TV, podcasts, digital and more, it’s clear they are embracing diversification! Another key recommendation was using data and insight to help your client or customers understand why they need your product or service. As a marketer myself, data is one of my favourite things! We can now have a fuller understanding of what our client and customers want, when they want it and where they want to get it from. This year, as with the past two years, Newcastle Business Club have enjoyed a partnership with SCA, so it was great to hear about their operations further afield from the Hunter. One of the key things Grant mentioned a number of times was their commitment to ‘regional areas’ (even though he dislikes the current definitions of regional and metropolitan, he had to continue to use the words, for clarity!). SCA are the biggest regional employer in the media space, something they are committed to continuing. They also have a focus on ensuring that their clients – advertisers – understand the value of regional markets, with these funds insuring they can continue to invest in the area. At the luncheon it was also great to open up our membership for 2019. We’ve had a great year, with an increase in members, as a result of the hard work of our committee in connecting and reconnecting with people, as well as the introduction of a number of new member benefits. With this in mind I urge you all to join Newcastle Business Club during this early bird membership period. When you click here you will find that we have introduced new software to make the membership process easier – for you and for the Committee!! And next year we will be able to launch our member directory, yet another benefit. As someone who has been a member for over a decade and a half, I can honestly say it has been a great decision for me personally and for my business. Next month is our last event for the year and we have decided to create The ultimate networking luncheon. I guarantee it will be a great way to finish the business year! Click here to buy your tickets.